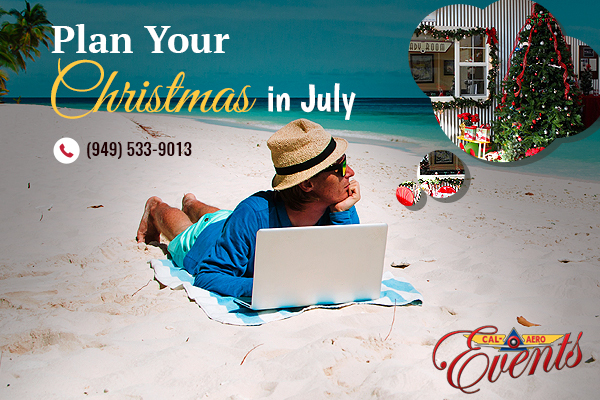 During the hot days of summer the last thing on your mind is Christmas, right? Planning an event for months and months away can be a tough call especially when one is not sure about the size of the event, number of attendees, budget allocations and other important details and approvals. But it is time to act fast and to put the necessary proposals together. One important factor that has a potential to make your event great or not so much is selecting the right venue. And this should better be done months in advance. Many professional event planners and office managers know the importance of starting their Holiday parties planning early in the year. An extensive research into the location of the event early in the year allows you much higher chances of booking a popular venue. Timing is everything. A corporate event that can range from a Holiday party, fundraising event to a product launch or sales meeting around the end of the year is usually a stately affair and it should be. Sometimes it’s a challenge to find a corporate event venue in and around Chino Hills that fits the bill. Our venue makes this task a bit easier not only because of our space and accommodations but because of the unique setting and “aviation” theme that event planners love to work with. Once you narrow down the venue options, cement available dates as Holiday events book up well in advance especially weekend dates. You can always opt for a week night event that works great during the Holidays as well. Once the date is set – the goal is set! You can start the planning activities ASAP as there is plenty to do even for months in advance. This is when Event Planners become very helpful especially if you have a larger group. If you have never planned a big corporate event, it is probably a wise idea to hire one or delegate it to an experienced team member. We also have a few Event Planners that we work with and can recommend. Just like a wedding, corporate events require all minor details to be addressed and thought through at the initial stages. The good thing about our venue is that you can opt for a formal event or more informal party – both can play out great at this popular banquet hall centrally located in Inland Empire, Southern California. With the festive season quite a few months away, coming with a Christmas theme is hardly anyone’s topmost concern. Yet it is a great time to start preparing and scouting for locations and getting a head start. Book your venues early and seal the dates as Christmas time can get quite hectic and the only venues available then can be quite disappointing. We will be putting some ideas and tips together to help you put together a Holiday party soon, so stay tuned and visit back this page. For further information on our venue and to contact us, please visit https://www.calaeroevents.com.